Inpatient or Outpatient Alcohol Rehab: Which is best for me? Home › Alcohol Rehab Guide › Inpatient or Outpatient Alcohol Rehab: Which is best for me? Alcohol is the most abused drug in the world and because of this millions of people become addicted to alcohol and need help when they decide to come clean. The majority of people who decide to come clean from alcohol choose to admit themselves into an inpatient or outpatient alcohol rehab. Inpatient alcohol rehabs are more structured and provide the environment and the resources for a person to live in and detox from their addiction in a supervised environment. A person who goes to an inpatient alcohol rehab will have to adhere to their schedule and rules but will have the support and resources readily available to help them achieve success in their goal of becoming free of alcohol. Outpatient alcohol rehabs have similar resources and staff as inpatient rehabs but offer more freedom and the patient does not live at the rehab center. This means that the patient goes about their regular schedule and will have to avoid alcohol on their own free will. 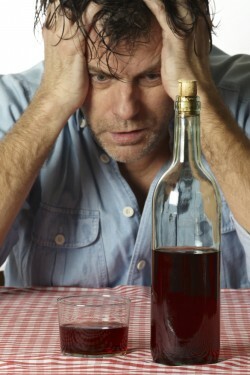 You need to find an alcohol rehab treatment that will work for you! Deciding that you want to come clean off of alcohol is the first step to recovery, now you just have to decide which program or which type of rehab you wish to join to help you succeed in accomplishing your goal. Some main factors that you should consider when trying to choose between an inpatient or outpatient alcohol rehab are money, location, family, job, and the intensity of your addiction. If you have a fulltime job and a family that needs you there, you may opt for an outpatient rehab center being that you need to go to work and be home for your family every day. However, if you do not have a job and your family is supportive of you going away for a bit, or you do not have family, you may consider getting the full benefits of an inpatient rehab. In addition, it is important to consider the amount of money you wish to spend on your recovery. Inpatient alcohol rehabs tend to be a bit more expensive than outpatient rehabs being that they have to provide room and board for you, as well as twenty four hour staff and a team of professionals to help you through your detox process. If you do not have this kind of money to spend then you may want to go to an outpatient rehab. The most important factor in your decision making process relates directly to you and is the intensity of your addiction and your will power to stay clean. If you have been an alcoholic for years and have developed an extremely strong addiction you may need to stay under supervision at an inpatient rehab because they will make sure you detox under medical supervision and you will not have access to any alcohol while you are staying at the rehab, which limits the temptation aspect of coming clean. An outpatient alcohol rehab provides freedom and helps people become clean by offering their services during the day, but a person must be willing to stay away from alcohol when they are not in the program. Both inpatient and outpatient alcohol rehab centers are an excellent choice to help you come clean from your addition, but it is ultimately up to you to decide which one will work best for your lifestyle. 60 Day Alcohol Rehab - Recovering from an addiction to alcohol is not something that will happen overnight. Rehab programs can help, but short-term programs are believed to be of limited effectiveness.